When it comes to exploring a new and extraordinary destination, a traveler’s main focus will almost always center on finding the best possible way to experience the destination itself. The seasoned traveler will never hesitate to ask themselves: What things should I definitely not miss out on? What places should I definitely visit? What are the tourist traps that I should I try to avoid? Travelers ask themselves all of these questions with the sole intention of answering one, fundamental question: how do I make the most out of the limited time I have in X destination? 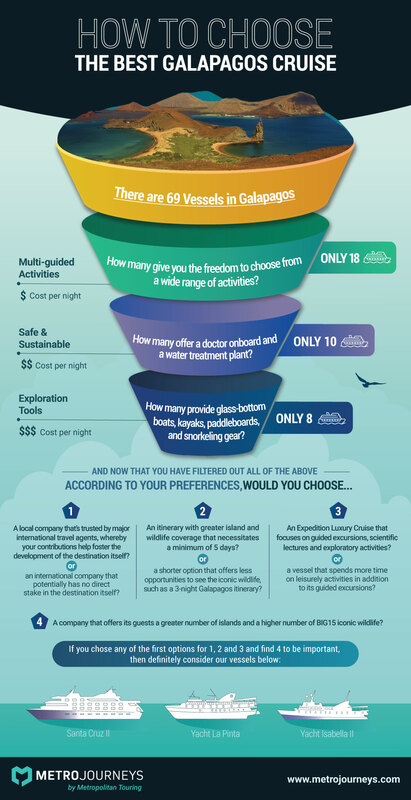 Which is the best Galapagos cruise package? And the answer to that question is not as easy as one might think, for there is no single “one Galapagos package to rule them all,” so to speak. What it all comes down to is your interests and preferences. And that’s we’re here help you out with in this blog that consists of a Step by Step Guide to Choosing the Best Galapagos Cruise Package. It might not seem like it to everyone, but the Galapagos Islands are actually quite big. The archipelago is home to a grand total of 21 major islands, 14 of which are open to visitors. Due to its volcanic nature, the Galapagos Islands are also in a constant state of expansion, meaning new islands may very well be forming as you read this blog! The Galapagos Islands are spread out over an area of 45,000 square kilometers (17,000 square miles) of Pacific Ocean and are located 906 kilometers (563 miles) off the coast of Ecuador. Only around 18% of this area is actual land, meaning that, in terms of actual terrestrial surface area, the Galapagos Islands (when clumped together) are about the same size as the state of Mississippi or the country of Greece. Yet given the size of the archipelago and the distance between each island, getting to know the entire archipelago in a single day is, quite literally, impossible. This is why we’ve conveniently divided up the archipelago into regions and, consequently, different itineraries for each of our cruises, too. And keep in mind: all of our itineraries last the minimum recommended number of 5 days, which gives our guests enough time to properly experience each piece of the archipelago without ever feeling rushed. Also worth noting: each of our itineraries offers its own set of distinct features, too. The archipelago is in fact so large that Genovesa Island – one of the most isolated islands and home to the biggest colony of red-footed boobies – is only visited by a select group of Expedition Vessels in the Galapagos. For our Santa Cruz II and Yacht La Pinta, our packages are divided between the Western, Northern and Eastern regions of the archipelago. In the case of our Yacht Isabela II, packages have been divided between the Northern, Central and Southern regions of the archipelago. Each one of these itineraries allows you to discover a distinct set of islands, fauna and flora. In the end, choosing the best Galapagos cruise package really comes down to considering what you yourself want to get out of your trip to the Galapagos. 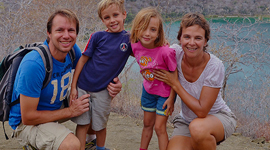 Ultimately, the best Galapagos cruise package is the one that best suits your interests. And these next couple of steps will help you figure out how to go about doing exactly that! The Galapagos Islands are one of the most important biodiversity hotspots in the world and happen to have some of the highest levels of endemism, too. Consequently, it’s no surprise that many come to the Enchanted Isles to experience wildlife that they simply can’t see anywhere else on the planet! That’s why we always recommend that our potential guests take the time to ponder and consider which Galapagos animals they want to see. 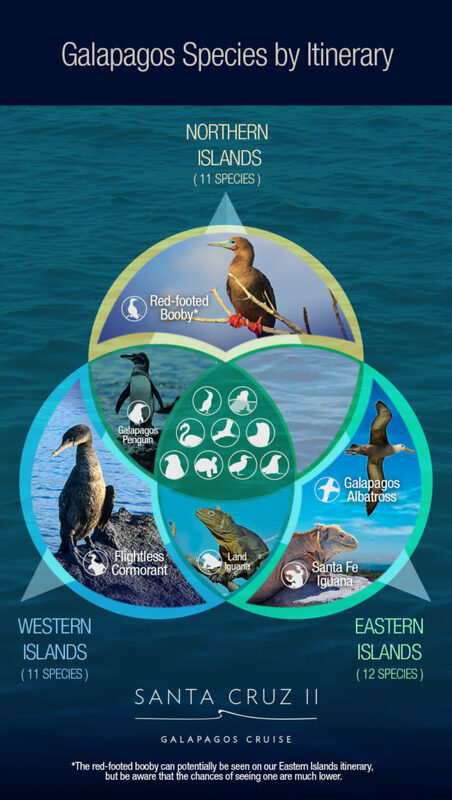 If you’re looking to get a clearer picture of what each of our Galapagos cruise itineraries offers in terms of wildlife coverage, then check out our handy Venn Diagrams below (separated by vessel)! On average, over 80% of the birds, reptiles and mammals you’ll see in Galapagos are endemic, meaning this is the only place in the world where they exist! 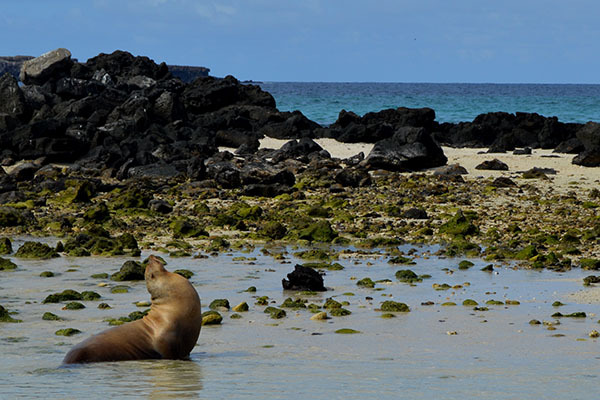 You probably noticed that there are 3 major Galapagos species that are exclusive to each itinerary. So, before we head to Step 3 in this blog, let’s have a brief look at what makes each of these species so special! Genetic alterations in the flightless cormorant have, over the course of some 2 million years, led this magnificent bird to lose its ability to fly. As a result, this is the only cormorant species in the world that cannot enjoy the wonders of air travel! But don’t feel sorry just yet! Evolution has been kind to this unique species, as they are now superb swimmers and underwater hunters. 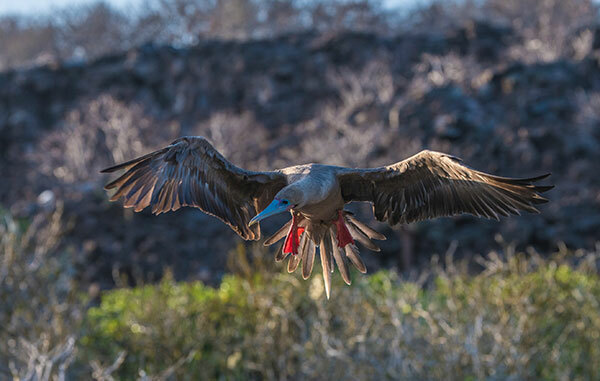 Another iconic species in Galapagos is the red-footed booby. These charming animals can be found on the islands of Genovesa and, less frequently, San Cristobal. 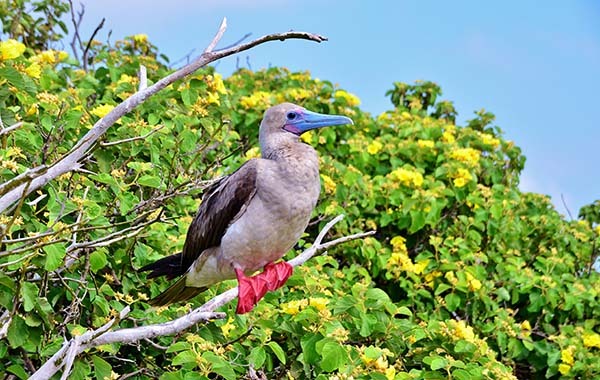 If you really want to see red-footed boobies in Galapagos, then Genovesa Island is your best bet, as it is home to their biggest colony. Genovesa also happens to be one of the most isolated and untouched islands in the archipelago, which gives red-footed boobies the freedom to roam around without a care in the world. On the other side of the archipelago, specifically down on Española Island, guests will be delighted to find the majestic waved albatross. These birds only live in the Enchanted Isles during their mating season, which lasts from April all the way to December. This glorious animal – which can measure up to 250 centimeters (8.2 feet) – is famously known for being a master of flight, capable can glide gracefully through the air for hours, days and sometimes even weeks or months without ever landing! The Galapagos National Park made it a huge point to protect this species due to its endangered status in the IUCN Red List and the Enchanted Isles remain as a safe haven for them to this day. Ultimately, the best Galapagos cruise package will be the one that gives you the chance to see as many of your favorite animals as possible! Feel the need to see them all? 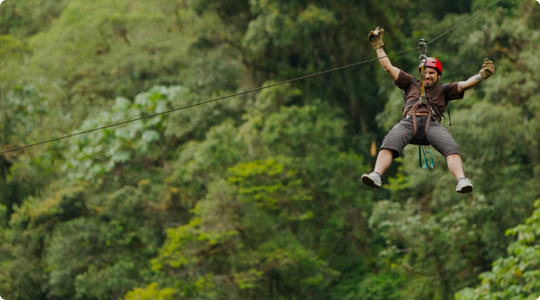 Then don’t ever hesitate to combine our itineraries, back-to-back! 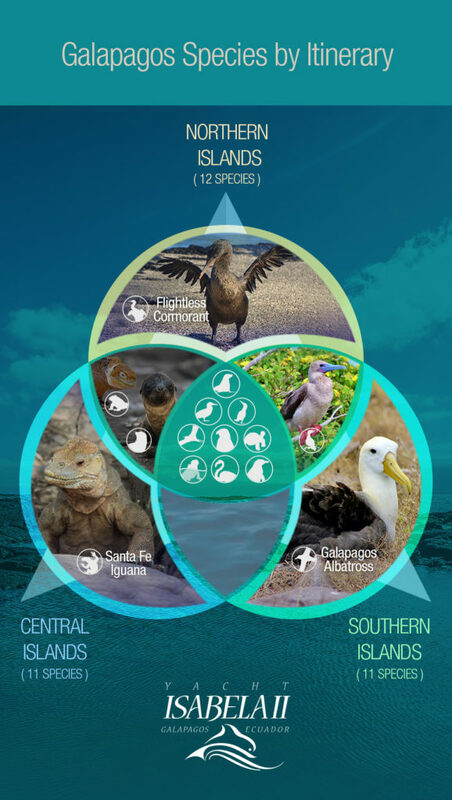 For a full list of the iconic species you’ll get to see in the Galapagos, please be sure to check out our complete BIG15 list of iconic species in Galapagos. This is the best way to find out more about each iconic species and where, exactly, the wild things are in Galapagos! 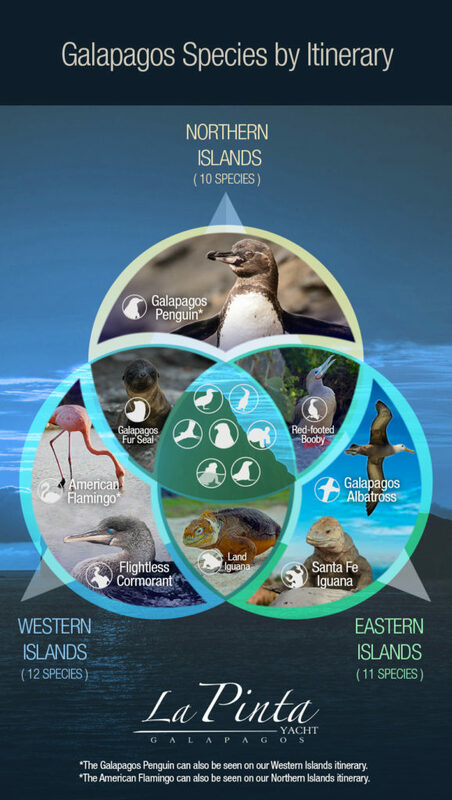 In addition to the unique wildlife, one of the main reasons why traveling to the Galapagos is so appealing is simply due to the geological distinctiveness of each and every island. Sailing from island to island (something that can only be achieved aboard expedition vessels) has often been compared to traveling across a mini-solar system that’s replete with different planets. 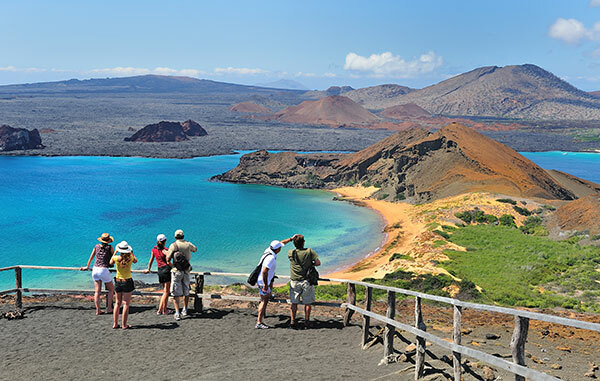 The landscapes our guests will get to experience on each itinerary are so varied and diverse that you can encounter red-colored beaches, dramatic cliffs, volcanic terrain, lush highlands, and dry Palo Santo forests all in just one Galapagos journey. The best Galapagos cruise package should always focus on providing visitors with some of the archipelago’s most breathtaking places. The best part? All of our Galapagos packages make it a point to do exactly that. With a total of 14 islands that can be visited and an average of 5 different islands per itinerary, you might be asking yourself: what does each island offer? Which ones should I definitely visit? Well, have no fear, dear reader, for we have consulted with our destination experts, naturalist guides, and guests to narrow down the Top 3 Islands to visit in Galapagos (in no particular order)! Located in the southeast corner of the archipelago, Española Island is a treat for our guests that are looking forward to having their jaws drop. This island has it all! From a glorious geological blowhole formation to a dramatic coastline, this island never fails to impress. 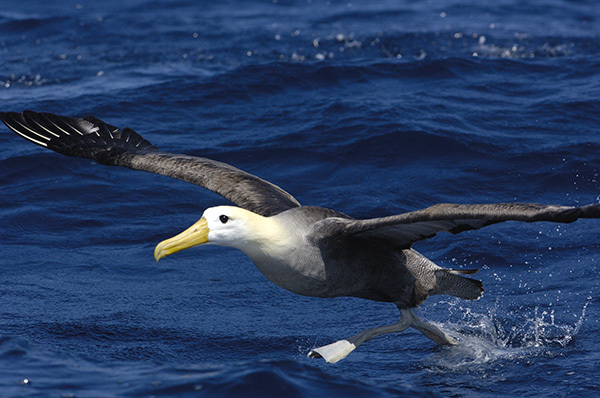 It is also the one-and-only island in Galapagos that is home to the majestic waved albatross. This island is also known for the astonishing amount of wildlife that it is home to. There are two main visitor sites here: Punta Suarez and Gardner Bay. Among the activities you can enjoy here are snorkeling, kayaking, swimming and paddle boarding. Welcome to one of the youngest islands in the archipelago! Fernandina, which is located to the far west, is home to amazing species such as flightless cormorants and Galapagos penguins. Fernandina’s terrain is very rocky due to its volcanic nature. What’s more? There’s La Cumbre volcano right in the middle of the island, which just recently experienced a mesmerizing eruption that we got to witness in 2018! Adding to the magic and surreal nature of this island are old pahoehoe lava flows that have turned to rock while keeping their unique, rope-like patterns intact. Marine iguanas amass and congregate over these fascinating pieces of fossilized geology, often times blending in so perfectly that you have to be careful not to step on them! The Bolivar Channel (which flows between Fernandina and Isabela islands) is a great place to get a glimpse of some of the whales that frequent the archipelago. Just make sure you visit sometime between July and November! If you hope to have an incredible experience during your visit to the Galapagos Islands, you should definitely visit Genovesa! 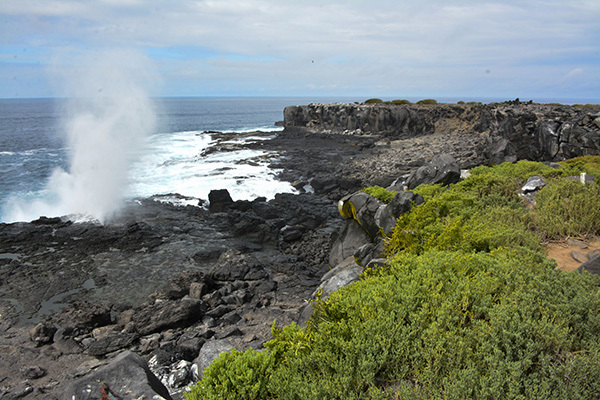 It is one of the most isolated and faraway pieces of land, located in the upper east corner of the archipelago, and it’s a great spot to see some of the best Galapagos highlights. Take Darwin Bay for example: this postcard-worthy site is the result of a volcanic caldera that has completely collapsed and sunken underwater! That’s why the coastline, when seen from above, resembles a crescent moon. Genovesa is also known as “Bird Island” due to its abundant population of birds and the magnificent birdwatching opportunities that it offers. Genovesa is not easily accessible, and only a few boats actually go all the way up to visit it, so you’ll definitely want to choose an expedition vessel that does (tip: all of ours do)! If you want to find out more about the rest of the islands that you’ll get to experience in the Galapagos, then definitely make sure you take a peek at our blog on the Best Islands to Visit in Galapagos! As you may have noticed, each one of these islands occupies a different geographical point in the archipelago. They’re really far apart from each other, so there’s no single itinerary that can actually cover all of them. But don’t worry! 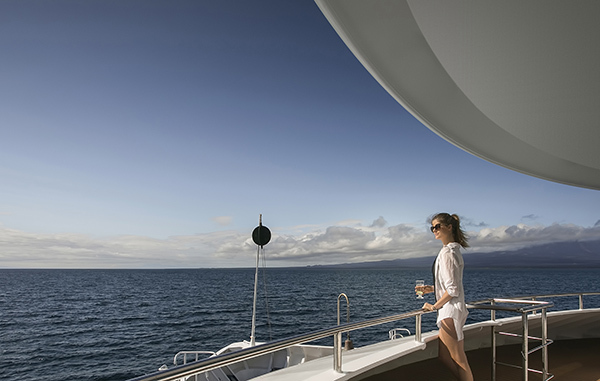 You can easily craft and customize an even bigger Galapagos package aboard any one of our boats by combining two or more itineraries, back-to-back! 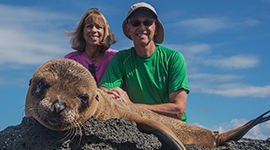 *Please note: Our biggest goal with each of our Galapagos packages is to provide our guests with the most well-rounded, balanced, satisfying and memorable Galapagos experience out there. That’s why we relied on the expertise and know-how of our product managers, destination experts, expedition leaders and naturalist guides to help craft and refine our packages (and the itineraries they contain) to the point of perfection. 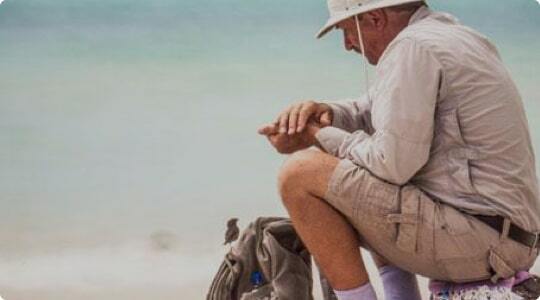 Regardless of which Galapagos package you opt for, you can rest assured that all of them offer an excellent balance between activities and wildlife. What’s the best Galapagos Itinerary for me? And that’s it! Once you’ve taken those steps into consideration, you should have a pretty solid idea of which Galapagos itinerary is best for you, hopefully! Finally, it’s worth saying again that there’s no such thing as a single best Galapagos cruise itinerary. At Metrojourneys, we understand that not all of our potential guests are looking for the same experience: every guest is different and that’s our starting point! 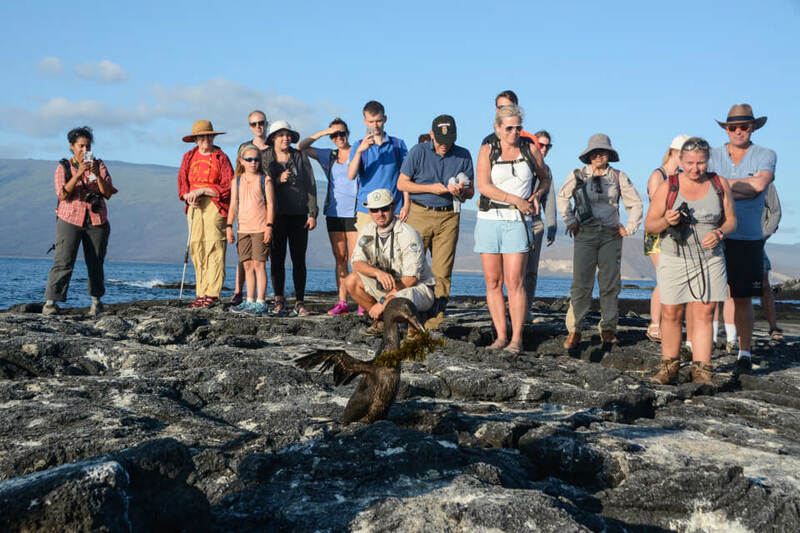 We also believe that a destination is only as good as the package that allows you to experience it, which is why we’ve dedicated tons of resources into crafting Galapagos packages that offer all the things you hope to see and experience. Because, in the end, the best Galapagos cruise package is the one that satisfies and fills your heart with joy! If you’re still not sure about how to plan your Galapagos trip, why not fill out our brief questionnaire and let one of our Destination Experts find the option that suits you best in Colombia or Peru? We’re here to help!